When it comes to eating healthy, my favorite kind of meals are the ones that bring me back to my childhood and remind me of some of my favorite flavors. I love participating in Meatless Mondays, and I especially love doing it with unique new takes on my favorite comfort foods. That is precisely why I fell in love with this Waldorf-style “chicken” salad that is actually a vegan take on this classic dish. 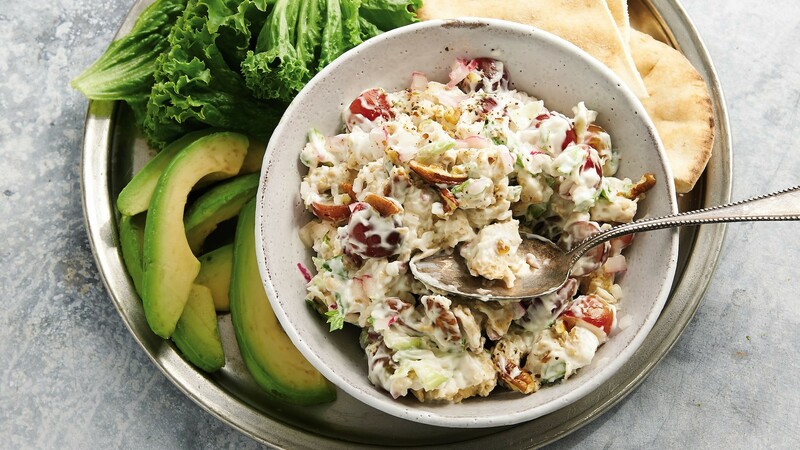 Created by Wendy Matthews, an education and outreach manager for Farm Sanctuary, and from the Living the Farm Sanctuary Life cookbook, this alternative recipe brings the mix of sweetness and crunch that we love in a classic Waldorf salad, but with an added dose of healthy compassion. By making this meal today, we’re not only eating healthier, but we’re helping to create a more sustainable planet. And isn’t that something we can all agree on? 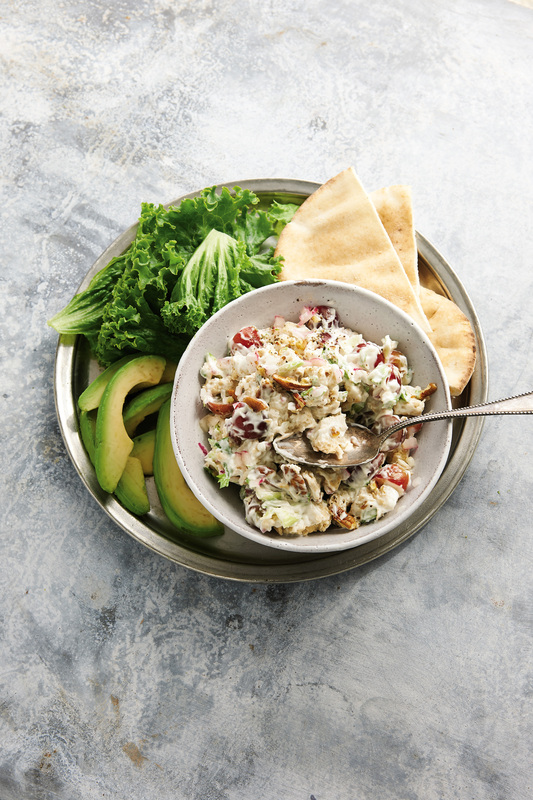 With so many incredible (dare we say superior) chicken and mayo alternatives on the market, this take on the classic Waldorf salad adds a key component that was missing from the original — a healthy dose of compassion. With its delectable mix of sweetness, creaminess and crunch, we’re sure it won’t be just the animals that are happy with this recipe on the table; your diners will be too. In a large bowl, whisk together the Vegenaise and Worcestershire sauce, and add salt and pepper to taste. Add the Beyond Meat, grapes, celery, pecans and onion. Toss until evenly coated and combined. Serve on pita with lettuce and avocado, if desired. Gene Baur, the co-founder and president of Farm Sanctuary, the nation’s leading farm animal protection organization, knows that the key to happiness lies in aligning your beliefs with your actions. In this definitive vegan and animal-friendly lifestyle guide, he and Gene Stone, author of Forks Over Knives, explore the deeply transformative experience of visiting the sanctuary and its profound effects on people’s lives. 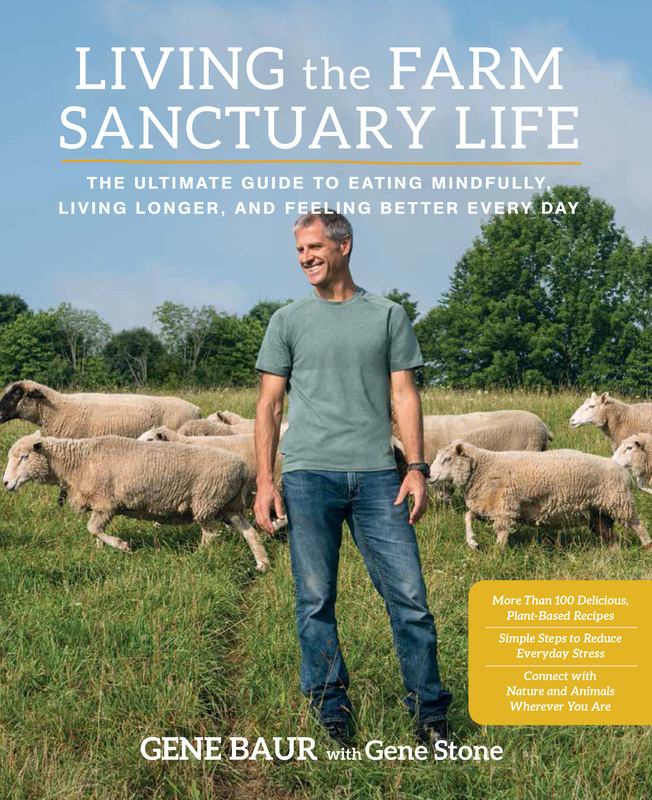 The book covers the basic tenets of Farm Sanctuary life, such as eating in harmony with your values, connecting with nature wherever you are and reducing stress, and offers readers simple ways to incorporate these principles into their lives. Living the Farm Sanctuary Life also teaches readers how to cook and eat the Farm Sanctuary way, with 100 extraordinarily delicious recipes selected by some of the organization’s greatest fans — chefs and celebrities such as Chef AJ, Chloe Coscarelli, Emily Deschanel and Moby. Coupled with heartwarming stories of the animals that Farm Sanctuary has saved over the years, as well as advice and ideas from some of the organization’s biggest supporters, Living the Farm Sanctuary Life is an inspiring, practical book for readers looking to improve their whole lives and the lives of those around them — both two- and four-legged.